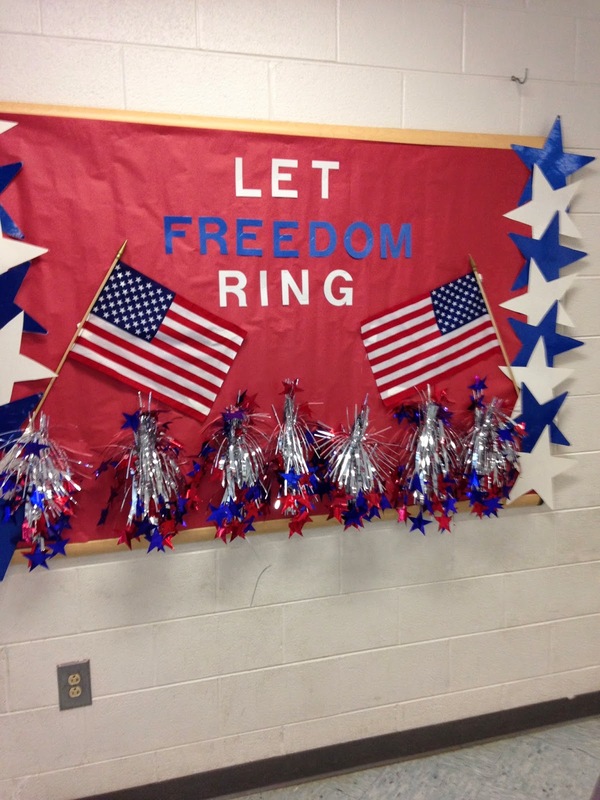 Mrs. Hankinson's Class: Five for Friday: LaSt DaY oF sChOol! Oh my! Today was the last day of school! The longer I teach, the quicker the year goes by! 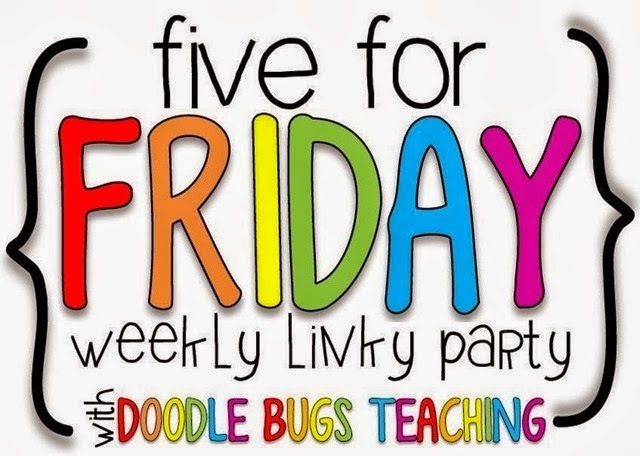 I'm linking up with Kacey at Doodle Bugs Teaching for my Five for Friday! 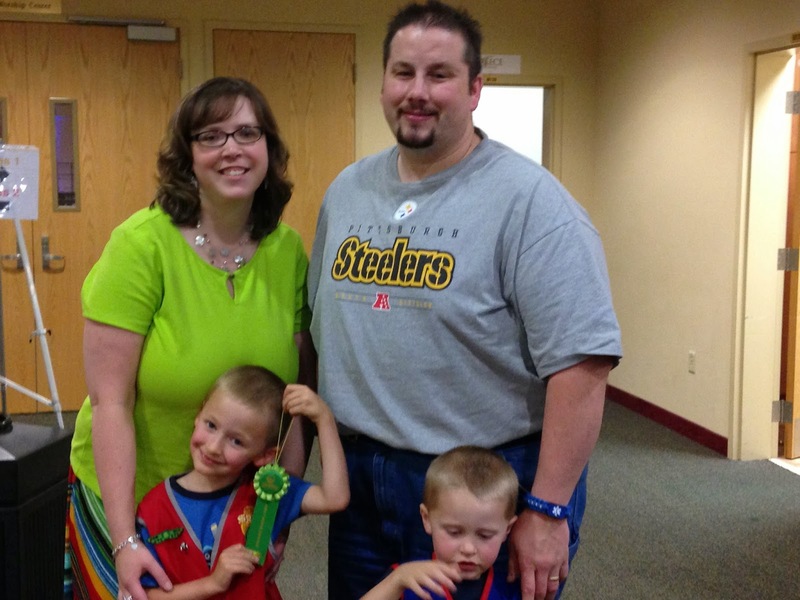 Two of our nephews finished their AWANA year this week and we were able to go to their celebrations. We are so proud of them! With Memorial Day being on Monday, it was time for Run for the Wall! If you haven't heard about Run for the Wall, click here to read last year's post with an explanation. Here are a couple of pictures from yesterday's visit. 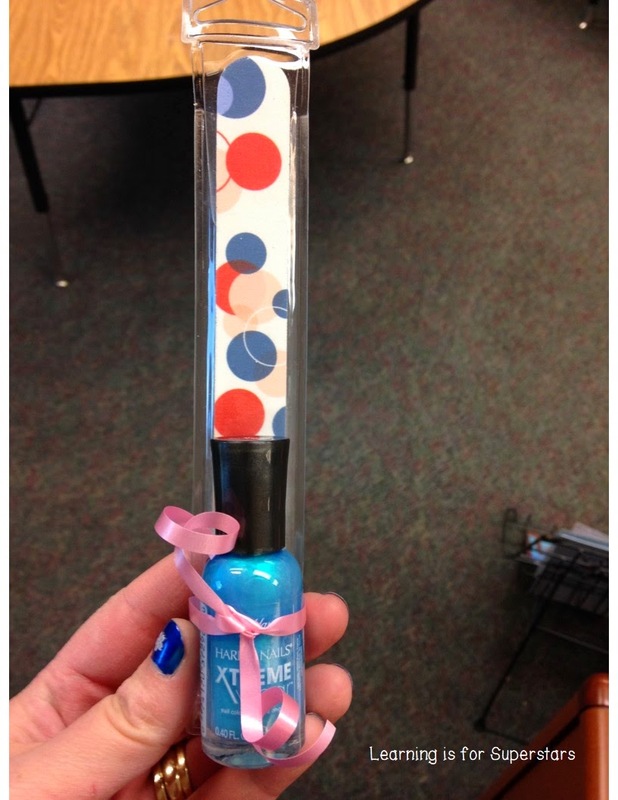 Need a last minute gift idea for a helper or teacher aide? 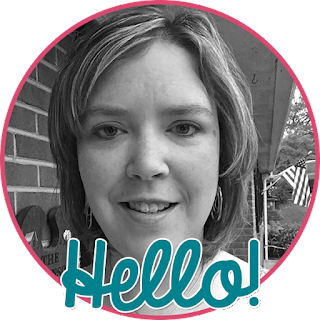 Check out this idea! I didn't realize until late last night that I didn't have ribbon to match ... oh, well! Today, along with being the last day of school, was also field day. Our PE teacher is amazing and I was blown away with how smoothly everything went! Here's one of the stations she set up - sidewalk chalk and bubbles! The kids had a blast! 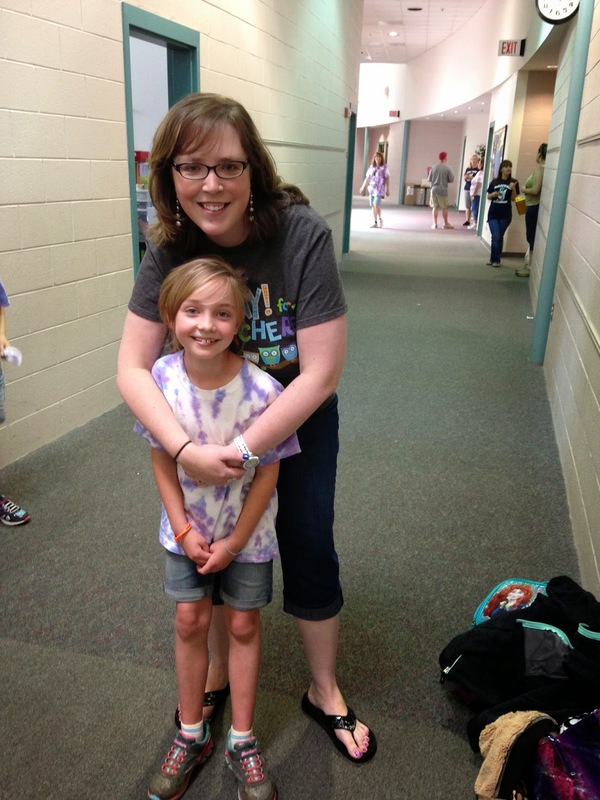 Saying good-bye at the end of the year is hard. This sweet girl was in my class last year and I can't believe another year has passed! Wow - you're on vacation - what a feeling of freedom! Enjoy every minute! I like the bubble and chalk station for field day - just perfect to have a little down time. My last day was also this week! Awesome! Somehow it always feels a little freeing to not have to be somewhere everyday. Of course, that only lasts for about three days and then I am looking for something to do! Why do kids love bubbles so much! 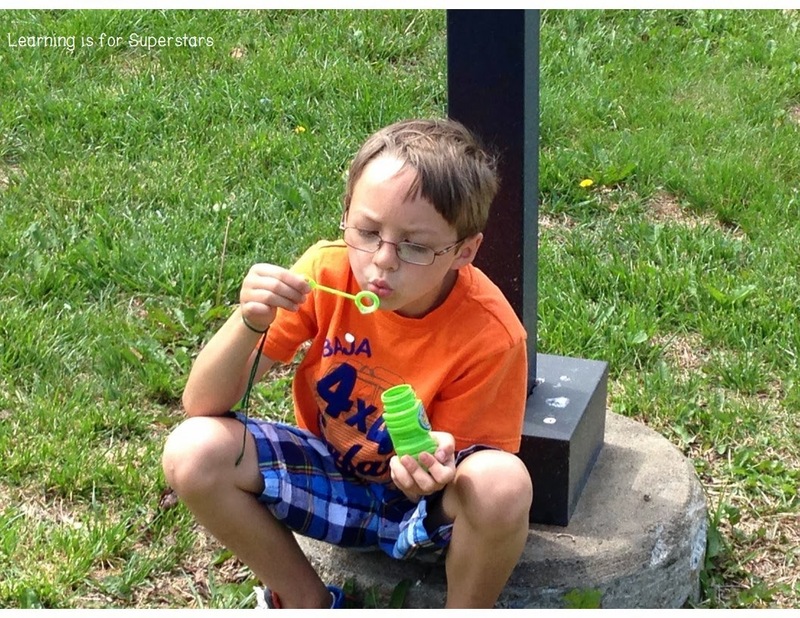 I used bubbles in a STEM challenge recently and it became their favorite challenge of the year!